Toluna is an online community making your voice heard. They pay you for sharing your opinion about the world’s leading products and services. Toulna is a genuine most trusted survey panel for years. 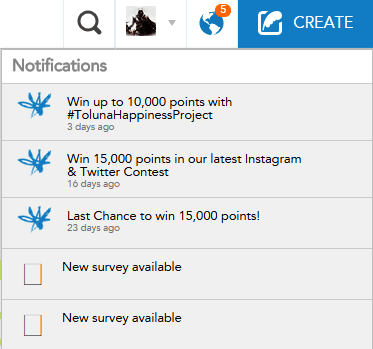 Toluna rewards you with points for completing surveys. Later on your can redeem those points to real cash through Paypal, e-gift vouchers, gifts and you can also redeem your points to purchase prize tickets and win prizes like HD tv, Laptop etc. To register, click the link given at the end of this article. 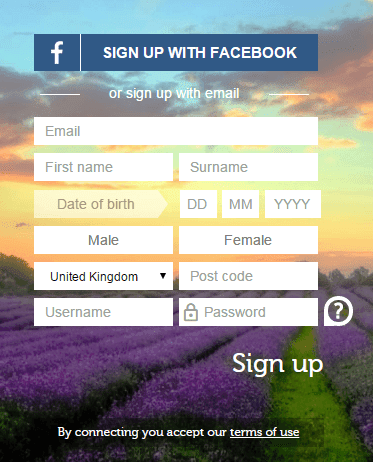 You can easily signup with Facebook or you can signup through traditional e-mail method. Enter your e-mail ID, name, DOB, country and gender. Choose your desired username name & password and click signup. You will receive a verification mail as shown above, you have to click the confirmation link to complete registration. Once the registration process completes directly log in to your account and complete your profile to get relevant surveys. Toluna pays up to 200 points for completing each categories like interest, education, travel, sports etc. Every time you log into your account you should check the notification area for any available surveys to participate. The notification icon similar to Facebook notification icon will help you to keep up to date as shown below. Toluna will also send survey invitation through the e-mail and you can directly participate from there or you can log into your account and click survey centre for available surveys as shown below. You can earn up to 30,000 points by participating in each survey. Just click on the particular survey to start. Once you click the icon the survey engine will load as shown below. You have to answer them in such a way that you don’t screen out. 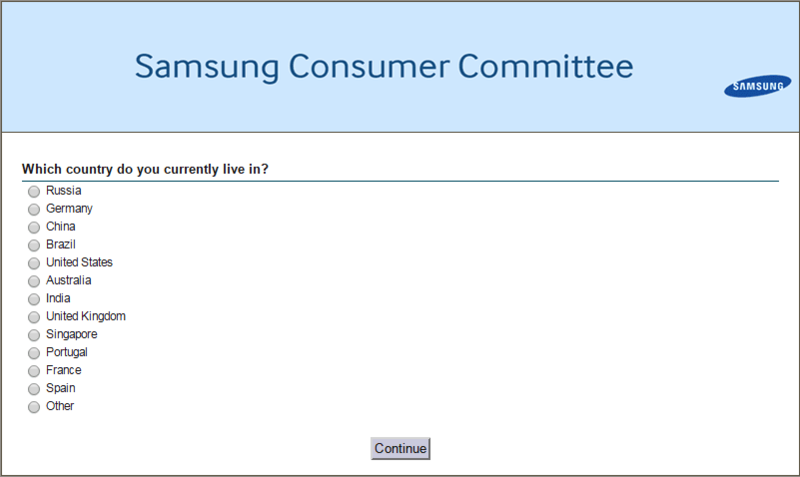 This survey is about consumer electronics, conducted by samsung. Initially before this page the matching questions was asked like select the consumer electronics in your house and the options were listed from Apple iPhone to IFB, LG, nokia, sony, samsung etc. If samsung was not selected then it would’ve been screen out. Same principle applies to all the surveys. The survey questions will be related to the products of samsung and it might take from a minute to 30 to complete, depending on the reward amount. The lengthy surveys will reward you with more points. 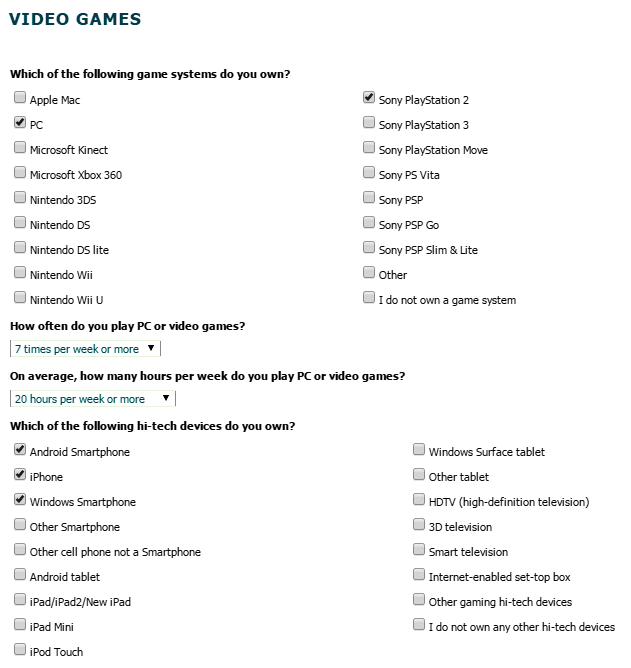 You can see an example of another survey about video games. The survey offered will be based on your profile. Most of the surveys will be based on information technology, electronics, companies, computer, health etc. Toluna makes your work easy by providing toluna app for Apple iPhone users and Google android users. 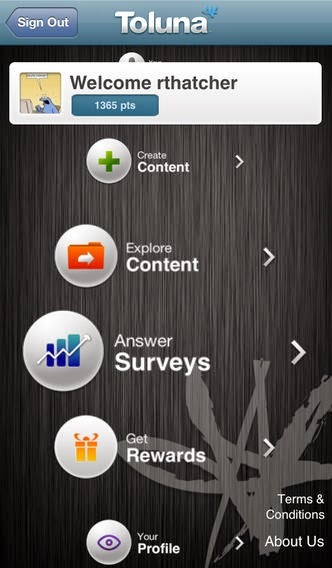 You can directly earn points through mobile by participating in surveys from mobile phone itself. Download link for – Apple iPhone. Download link for – Android. 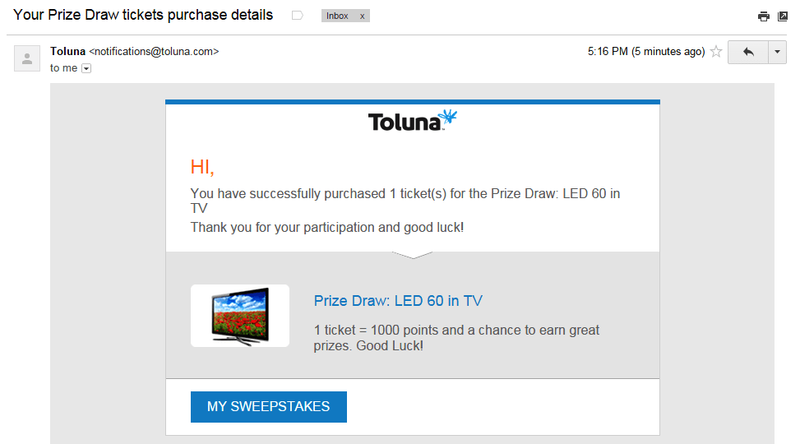 Toluna does not directly pays you cash instead they pay you points for completing surveys and you can redeem those points to cash or gifts or vouchers or you can even donate. So, the minimum redeemable point is 10,000. $1 = 6,000 points & approximately 60 INR. 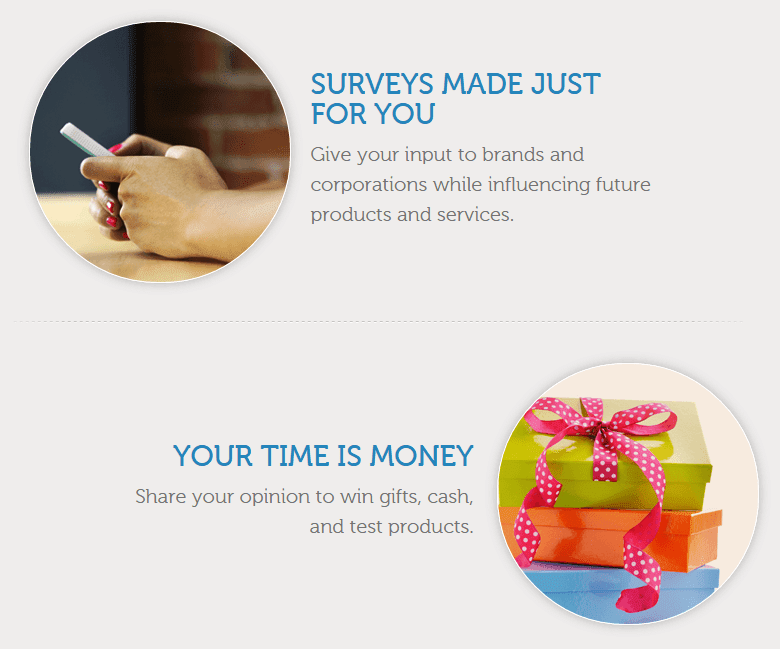 You might like this – Top 20 genuine online survey sites. As said earlier you can redeem your points to gift vouchers or cash. In case of cash payment are processed through Paypal. If you want e-gift vouchers you can redeem those points. The companies will vary depending on the country you reside. 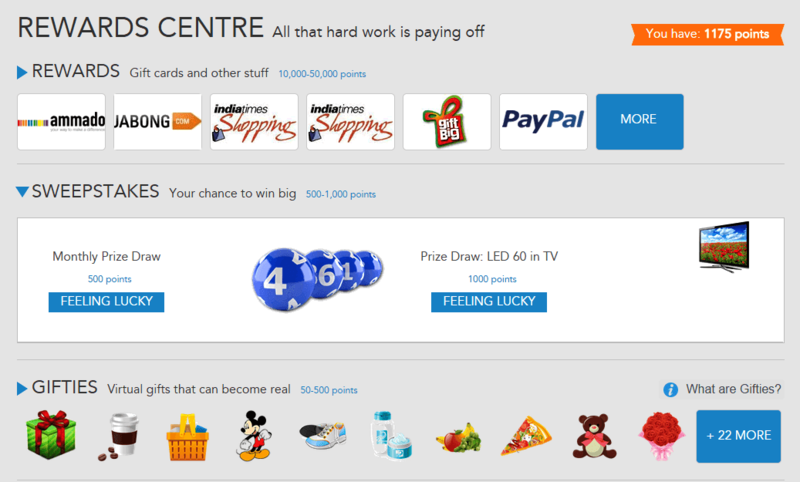 For example you can redeem those points to Amazon.com gift vouchers available worldwide. You can also win prizes like TV, laptop etc by getting tickets. The prizes will vary from time to time. To buy just click feeling lucky in front of the product. Once the purchase is complete you will recieve a confirmation mail as shown below. The prize winners will be announced at the end date and the prizes will be sent directly to your mailing address. You can also redeem your points to get gifts listed at that time. 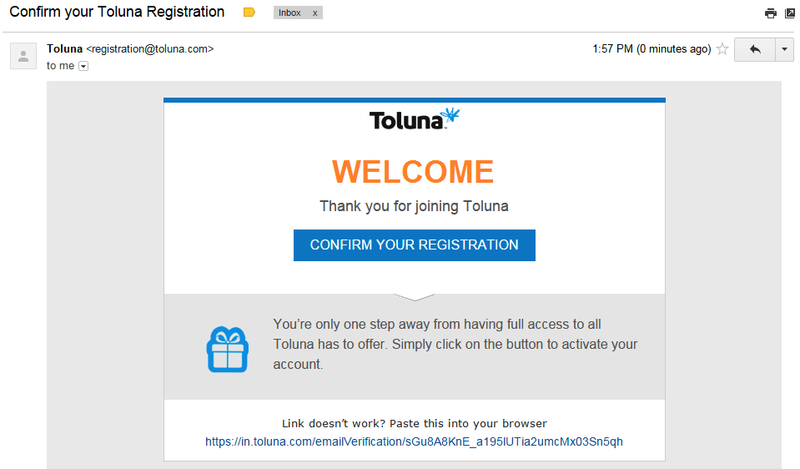 Tags : Toluna surveys review, join toluna surveys, genuine survey panel toluna.